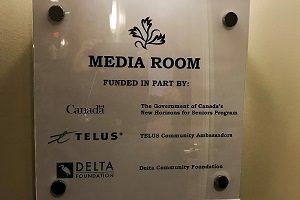 Augustine House needed to upgrade its media room originally sponsored by Telus Community Ambassadors. 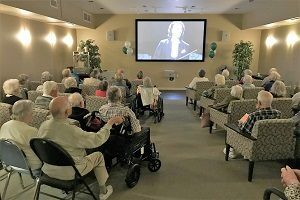 The $30,000 upgrade included an upgrade of the TV screen projector, wiring and other features. 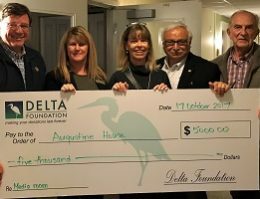 Delta Foundation presented $5,000 to the project, joining $15,000 from the Government of Canada’s New Horizons for Seniors Program and $10,000 from the Augustine House Society. 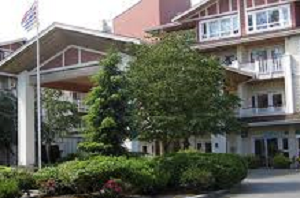 Augustine House is a retirement residence for the independent senior on Arthur Drive in Ladner, a community of Delta, BC. It is governed by the Augustine House Society, a not for profit charity created in November of 1992 from members of the Knights of Columbus Council 7916. Augustine House was completed and opened in August 2003.